VetShopAustralia.com.au is excited to be stocking the latest tick collar for dogs! 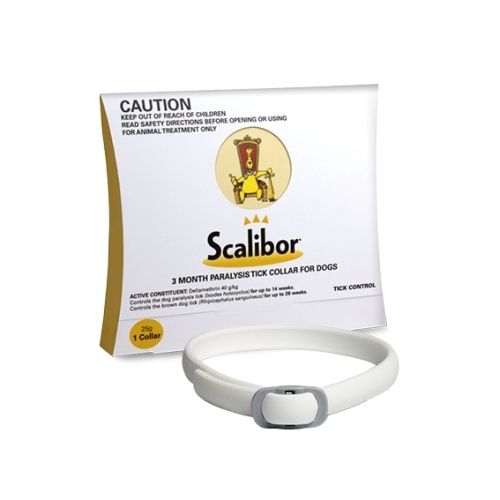 The Scalibor 3 month Paralysis tick collar is now available to help pet owners protect their pets from the dangers of both paralysis ticks and brown dog ticks. The Scalibor tick collar kills up to 98% of ticks within 24 hours and is large enough to fit big dogs as well as easily being cut to size to comfortably fit smaller breeds.